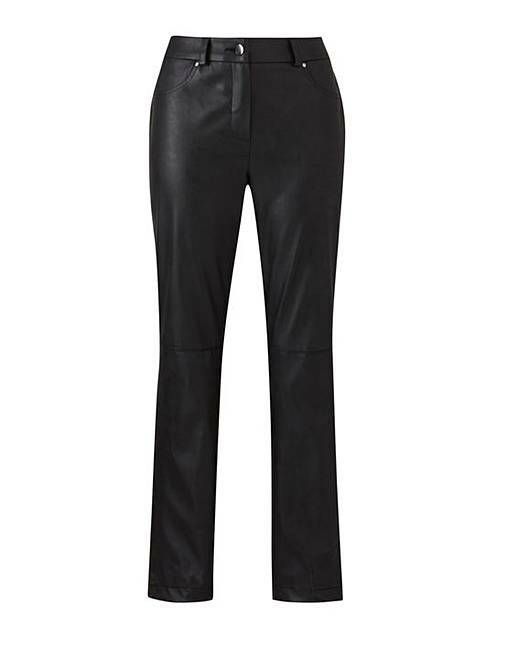 Joanna Hope Faux Leather Trousers is rated 3.9 out of 5 by 20. Exclusive to us -Joanna Hope. We love these slim leg pu trousers. 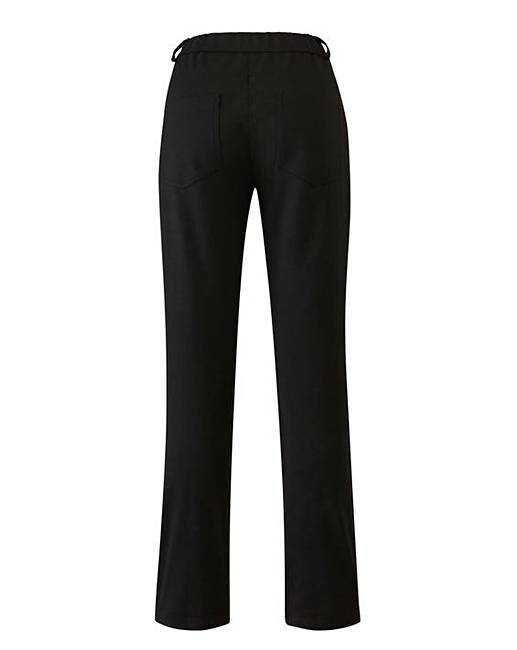 Featuring stretch ponte fabric to the back these trousers provide the best of both worlds. On-trend pu to the front combined with comfort and and fit of the stretch fabric at the back. Partial waist elastication with zip and button fastening. Back: 71% Polyester, 24% Viscose, 5% Elastane. Front: 58% Polyvinyl Chloride, 37% Polyester, 5% Polyurethane. Rated 1 out of 5 by MAS from Awful fit! I wish I sent them back! Awful fit, no belt loop at the back, so they keep falling down. These trousers are not for a pear shaped woman, a complete waste of my money, can’t send them back as I wore them thinking they may stretch, good job I wore a longer top to hide what was going on with my ‘builders but’...... not a good look! Also far too short.